Forrester, one of the most influential research and advisory firms in the world, recently released a report outlining its 2018 predictions around the trends and technology that are most likely to impact businesses in the coming year. In the report, “Predictions 2018: A Year of Reckoning”, the research claims that the majority of firms will not comply with GDPR (the General Data Protection Regulation). The stats are pretty shocking. With only 186 days until GDPR looms over us (not like I’m counting or anything), I have a vision of companies scrambling left right and centre to become GDPR complaint (correct me if I’m wrong, but no one wants to endure that hefty fine post-regulation), but it’s seems like Forrester beg to differ. They predict a whopping 50% of companies will intentionally not comply - yes, 50%! With a unwholly amount of articles, seminars, webinars and fear among the crowd, are people casually brushing the implementation under the carpet, or simply so ill-equipped they don’t know where to start? With J.D Wetherspoon purposely deleting their whole database, it may have motivated people to follow suit, or even still, not treat it as serious (which is crazy, I know). 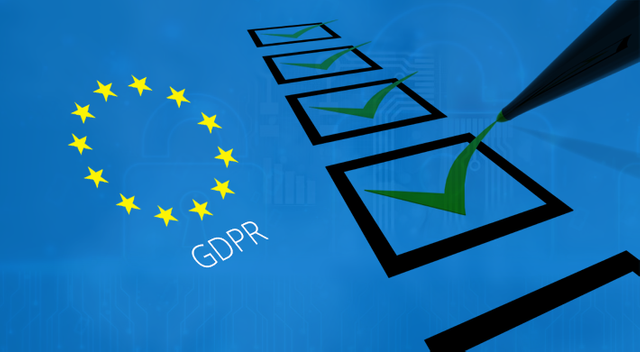 Starting the GDPR process seems daunting at first, but a few weeks ago I attended the CleverTouch’s seminar and their advice has struck with me ever since. Review and optimise - if you’ve done the two steps above, great! But you need to ensure you’re regularly checking if what you’re doing is working. There’s no point ticking it off and going back to it months later to find out you've only had 10 people opt in. Check on a weekly basis, and think of ways to improve your current process if it’s not working - you need to adapt quickly! There’s no quick fix to becoming a GDPR pro and making all of your data opt in (which would be the marketing dream), but the sooner you start the easier it will become. The longer you wait the less chance there is for people to opt in. Whether the prediction becomes true or not, don’t become complacent and embrace this change, rather than just hiding away from it. It may just come back to haunt you. Forrester predicts that 80% of firms affected by the GDPR will not comply by next May. And of those non-compliant ones, 50% will intentionally ignore the regulation. This means they have “weighed the cost and risk and are taking a path that presents the best position for their firms,” Forrester writes.